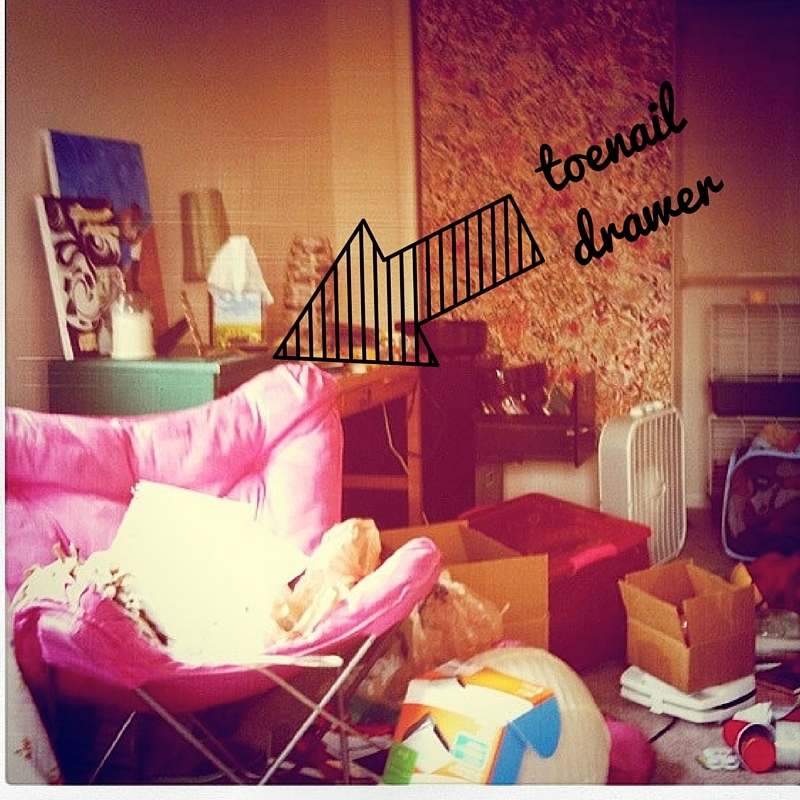 This entry was posted in Home and tagged apartment living, clutter, consumerism, free stuff, get rid of stuff. Bookmark the permalink. Loved this! I’ve been trying to persuade my company and coworkers to resist taking promotional items–one of my biggest pet peeves. You’re right, free stuff isn’t worth the cost of stress! My husband was a household mover for over 30 years, and you can only imagine how many things he had given to him thru the years. He/We lugged this stuff everywhere over several states and several moves of our own, he refused to part with it. At one point we had 3 hutches, 8 dressers just to name a few items. Eventually I was able to get some of that stuff gone but now I am left with the daunting task of the rest. And there is a lot. 3 buildings full and the house is ridiculous. But one of the oddest to me are the beer cans. 20 years ago a man was moving and he had made his basement into a man cave before it was fashionable. This cave was lined wall to wall/floor to ceiling with shelves for all the beer cans he found, bought or however he came across them. Yep, you guessed it, when he moved my husband took them and right now I have 15 dish pack size boxes full of beer cans to get rid of. Are they worth anything? Not that I have found, so these cans will be crushed and all I can think is what a waste of time and energy. He always felt like these would be his retirement fund. Have I mentioned the Ertyl cars he collected and how no one wants them, and he really wanted to leave it to his grandkids, this giant hobby and all those boxes as well. He never looked at these things they just remained unused all this time, it breaks my heart when I look at this daunting task in front of me, and it has to be done so I can move next Spring to a smaller house but hopefully a more fulfilling life. Wow, Terri what a powerful story. It’s true, we do spend our lives collecting more and more stuff, but in the end it’s really our relationships and the stories we share with others that are the most important. Best wishes in the upcoming move and thank you for sharing your story! Ahh this post speaks to me! I LOVE free stuff, but I’ve also been getting really into minimalism. I’ll bring something home and then suddenly wonder why the heck I brought something else into my house. I’m a recovering free stuff addict. But you’re right! It takes time to maintain free stuff, clean around it, and it occupies space in our minds too. I was surprised how it just felt good to get rid of things I never used. It’s so important to find a balance! 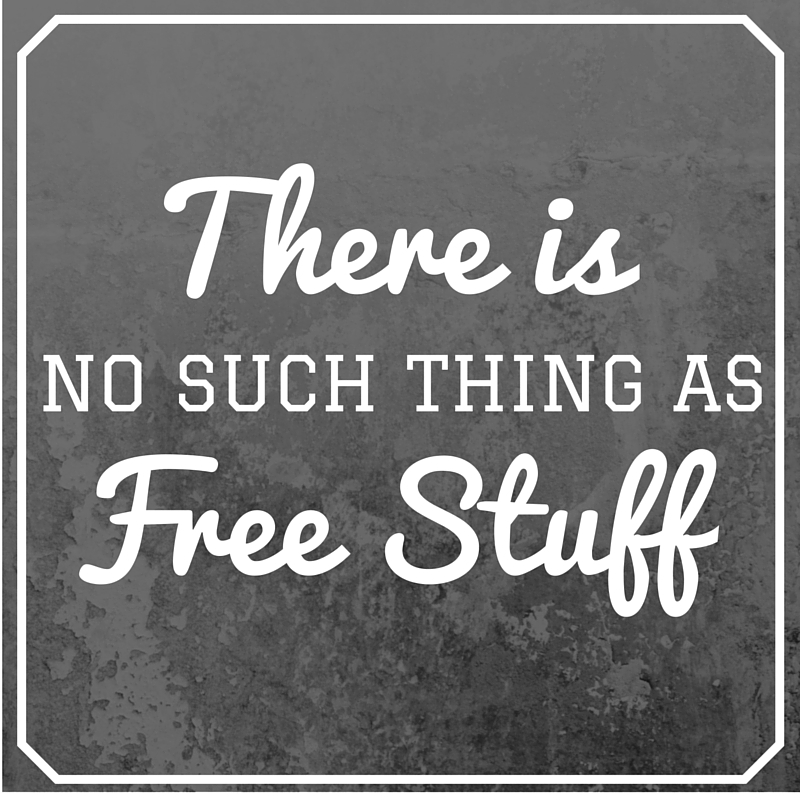 There is most certainly a time and place for free stuff, but often free stuff comes without intention. Also, it’s nice to know that free stuff can move on to someone who can really benefit from using it. Thanks for reading & glad you enjoyed this post! We are junk collectors at our house and I am desperately trying to stop this. Everyone of us is so tuned into free stuff by the side of the road. My best find was a set of small, stained glass window pieces that are still hanging in our living room windows. The worst? Too many to count, but currently my husband is in the garage where he has spent hours and hours, (plus dollars) working a “free” lawnmower he picked up by the side of the road two years ago. It’s a tough habit to break for sure! Ooh the stained glass sounds lovely – my favorite find was actually my husband’s: he found a vintage button down shirt for me that has license plates all over it. Not sure why, but I love it and wear it often. I love this post! It’s so weird how “free” works on us! Thanks! Glad you like it 🙂 I agree, it’s a tough habit to kick when simplifying. I was writing a post about this when this showed up in my feed! I’ll be linking up to it in my post this week. I’m a total sucker for free things! I’m so happy to hear others think about this too! Have you posted it yet? Loving all the meal planning tips on your blog! Hi Emily! I’ll be posting in the next week or two! We’ve been given or picked up free stuff and eventually figured out we didn’t actually need it. Then it costs us money to trash it. Free really isn’t free. I couldn’t agree more, Emily! Your article sparked my interest to see how much free stuff (and stuff in general) costs once we take it in to our house. I devided our monthly rent by the square meters we live on. Then I multiplied that by the square meters of a couch we recently gave away and I was blown away about how much it has cost us! We hadn’t used the couch in 4 years, in that time it has cost us €175 ($200) in rent! I will definately think of this next time I take in a “free” piece of furniture! Thanks Mel! I’m glad it spoke to you. I LOVE that method for determining rent/storage costs. What a great way to think about this. Thanks for sharing! I love this post! I’ve actually started to find that I get annoyed when I’m offered free things because usually I don’t really need them but I feel that weird obligation to take them anyway. This is such a great reminder that even if you don’t pay money for something, it still has a cost attached to it. Mhmmm…. Darn the BOGO. I always fall prey. I totally agree, there is no such thing as free. I put a lot of love and elbow grease into my free or cheap stuff to make it what it becomes, thanks for linking to me! Cross your fingers I have another makeover for you this monday! Ah, yes, the free stuff routine! I am familiar with this… there are two that stand out in my mind. One of my biggest (& arguably best) free finds was a papasan rocker chair (do you know how much those go for at Pier 1?!?! << That's me being a sucker) that I found at the end of someone's driveway about 8 years ago. I stuffed it into my car and have subsequently dragged it to and from 4 different apartments since then. But I can probably count the amount of times I've actually sat in it on both hands. The past 2 years it has served primarily as a resting spot for our two cats, so we are reluctant to get rid of it. That damn chair needs to go in the trash though! The second best free find was a perfectly decent cat tower in a construction dumpster right outside our apartment. We snatched it before the construction started for the day, and gave it a good clean to kill whatever bugs may be embedded within the carpet. The cats love it, so I consider that find a win! Oh wow, those things are awesome! They are definitely quite the free find. There’s a time and a place for free, and it sounds like you hit the jackpot 🙂 Thanks for sharing! This post brilliantly explains why I am trying to extend my Buy Nothing Year to things with a $0 price tag. Why does money influence decisions so much? After the money is paid or not paid there is absolutely no difference to your long-term happiness and enjoyment of your home. So why do we forget to question whether we really want the item just because it’s free? Thanks Ania! It’s so funny how we let free things into our lives that we wouldn’t have if the price had even been just a few dollars. Cost and value come in many different forms 🙂 thanks for reblogging! The toenail drawer has me rolling on the floor laughing! Hi there! My name is Bianca and I am a current college student. Your words ring so true regarding the “stuff” crunch our generation is in. I recently decided to start blogging about it as well, hoping to provide financial tips and other pieces to brighten the day. I would so appreciate it if you would take a look and provide any comments or critique. I’m glad you got a laugh Bianca! I’ll stop by 🙂 Thanks for reading & commenting!